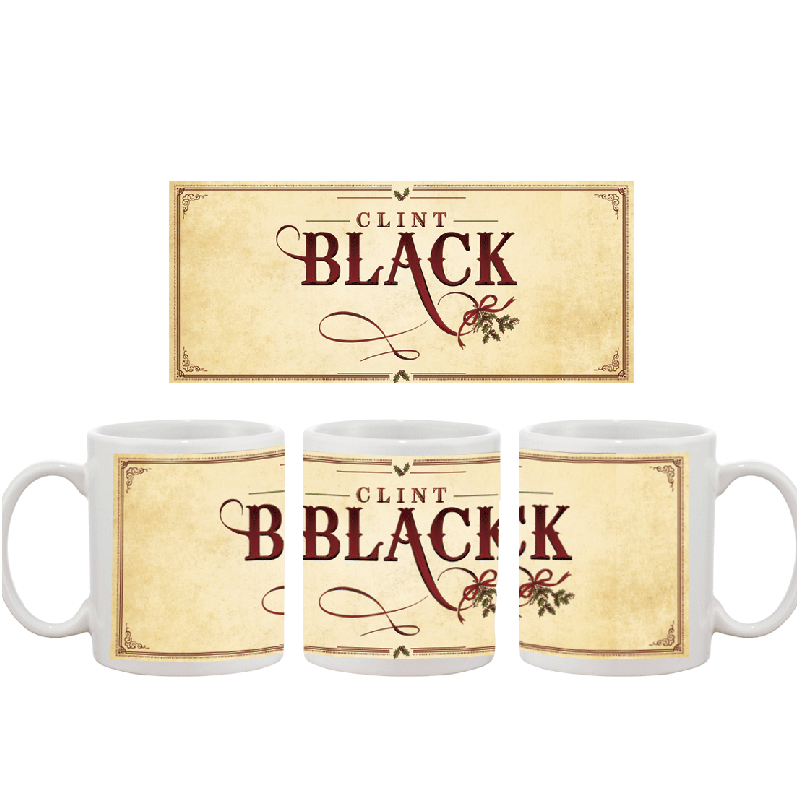 Clint Black Christmas Coffee Mug. Great gift for the coffee and tea lover on your list! Wrap around Christmas Collection album cover design.